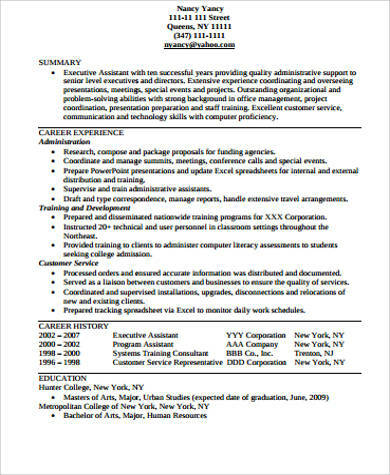 A resume has always been the most important document that is submitted during a job application. They contain all the necessary information about you, your work history, your skills, and even your interests. These are essentially laid down in the correct format and layout. You may opt to write your resume from scratch, but then again, that would take up too much time. 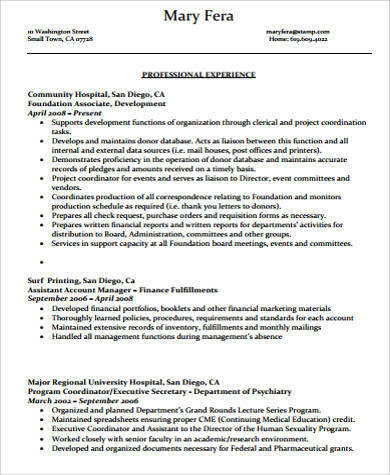 This is why using a resume template can help you out when it comes to writing a good resume. 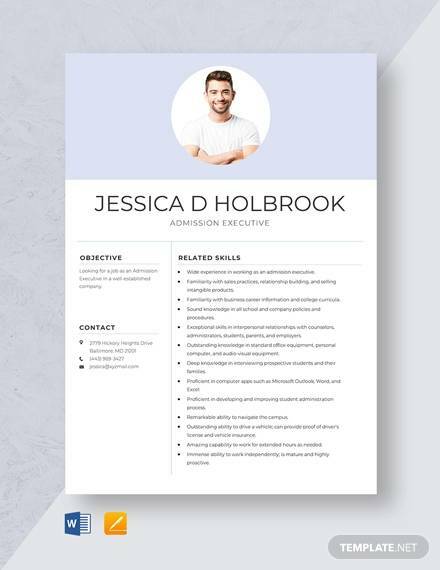 The Sample Resumes presented in this article will be the best guide you will have for drafting a resume that would be your golden ticket to getting your dream job. They have already been designed to have the correct format and layout, so all you need to do is fill it out with your own credentials. It’s always good to make sure that your job applications are outstanding and will give the best first impression despite the fact that hiring managers have not met you in person just yet. 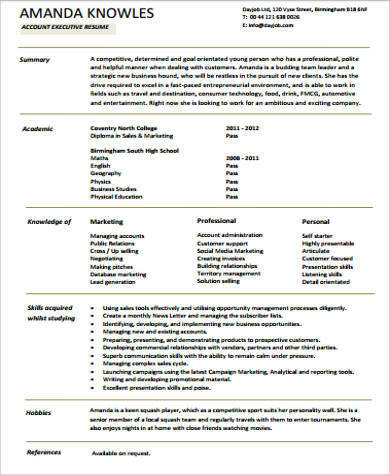 If written in an excellent manner, a resume can help you land plenty of interviews. 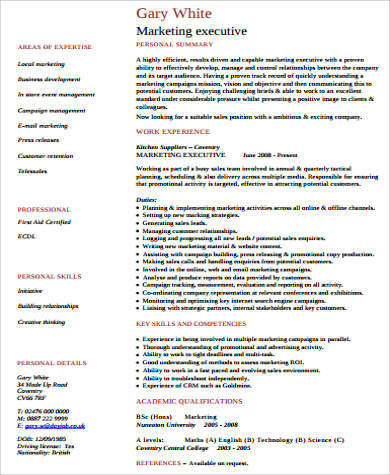 Here are some tips that you can follow in order to make your resumes stand out. 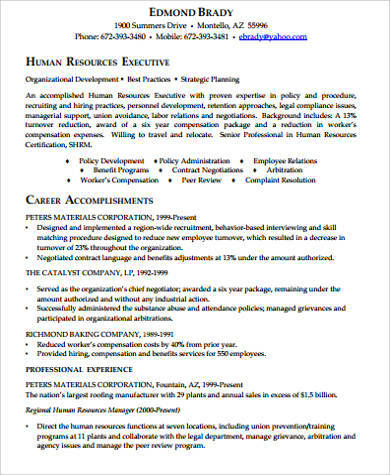 Start your executive resume with a resume summary that would summarize all of your strengths and strong points. Since this is the first portion that will be seen by the hiring manager, it is important to make sure that you create a good opening statement. The best way to ensure that you will be getting an interview for the job that you want, you have to customize it according to the job description. You may also opt to include a few keywords from the job description to your own credentials. Keep everything succinct and straight to the point. 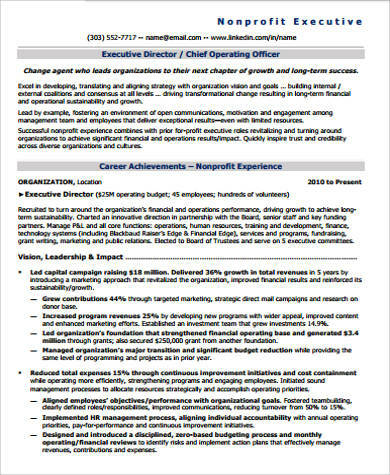 Limit your resume to two pages. Remember to review your resume for grammatical errors and typos. Keep your resume interesting by trying to make your personality reflect in it. This way, recruiters will think that you are a unique candidate. 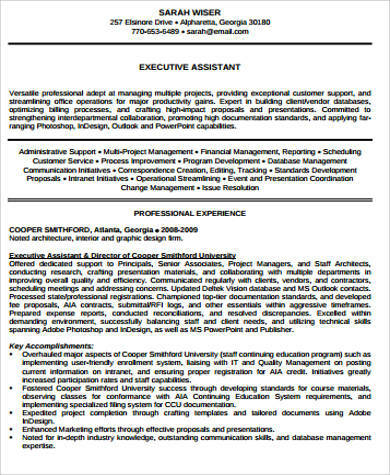 You may also be interested in Sample Executive Assistant Resumes. There is no need to create one from scratch. All you need to do is to follow the template you have chosen to use. 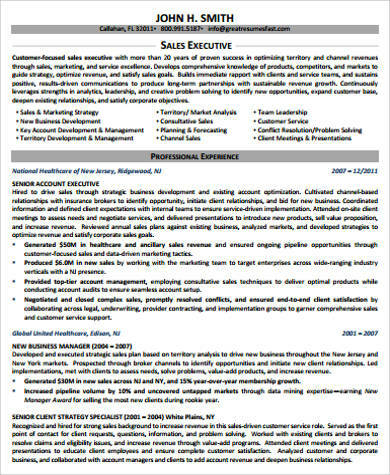 There is a wide variety of sample templates that you can use for job hunting. The templates in this article are already in the correct format and layout, which gives a modern and fresh vibe. You can easily replace some of the words or credentials with your own. These sample templates can be conveniently downloaded directly from this article just by clicking the green DOWNLOAD button. 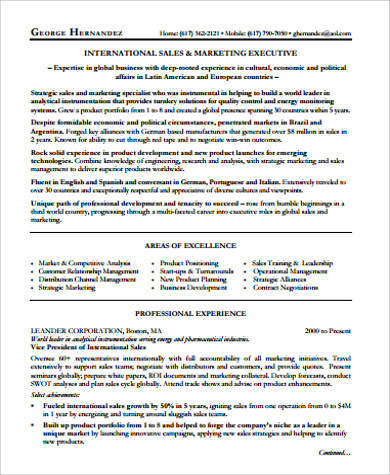 All of the sample executive resumes are in PDF format. This makes it easy to save it to your mobile devices or computer. 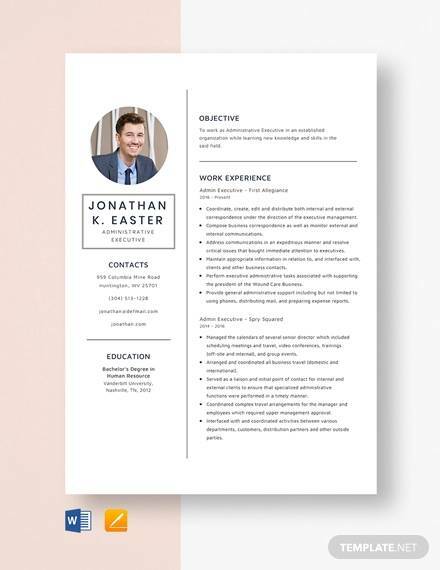 This way, you can easily draft an executive resume wherever you may be since you have an excellent guide to writing good quality resumes. 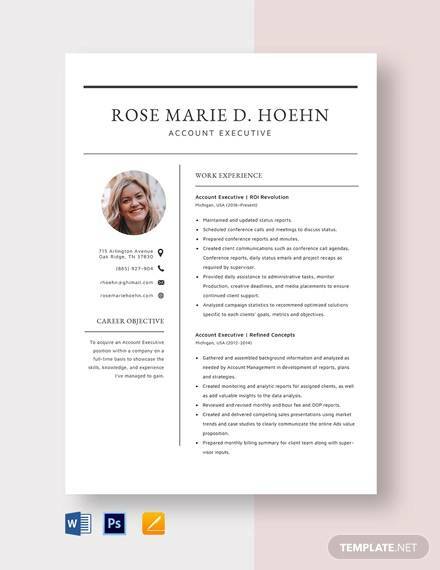 By using the templates featured here, you will be able to conveniently make one that will help hiring managers to see what you can bring to the table and that you have a great potential. This can aid in landing you various job interviews because you can present your resumes in a formal and professional manner. 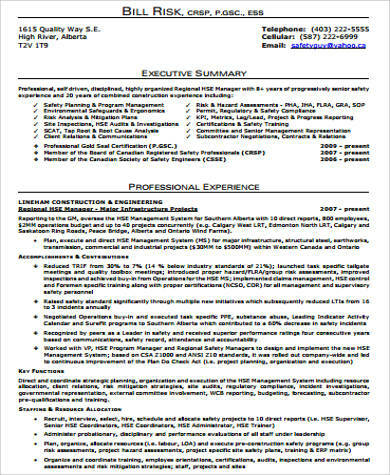 We also have other samples at our Executive Resume Example article.